Basava International School celebrated Rashtriya Ekta Diwas, the birth anniversary of Sardar Vallabhbhai Patel on 31st October,2018 with great zeal and vigour. A special assembly was conducted by the students of grade 9 and it was attended by the entire school. The assembly commenced with a prayer followed by a patriotic song. Students shared the valuable information about Sardar Patel and his contributions for uniting over 100 princely states to form the Union of India. Students elaborated his role in “No Tax Campaign” that urged the farmers not to pay taxes, after the british insisted on tax after the floods in Kheda. He was deeply influenced by Gandhiji’s ideology and principles, having worked very closely with him. He actively supported the non cooperation movement launched by Gandhiji. Patel toured the nation with him, recruited 3,00,000 members and helped collect over Rs.15 lakhs. Students also spoke about the statue of Unity which was inaugurated on his birth anniversary, it is the world’s tallest statue with the height of 182m located in the Indian state of Gujarat. A quiz was also conducted to test the knowledge of the students on Sardar Patel’s life and achievements. 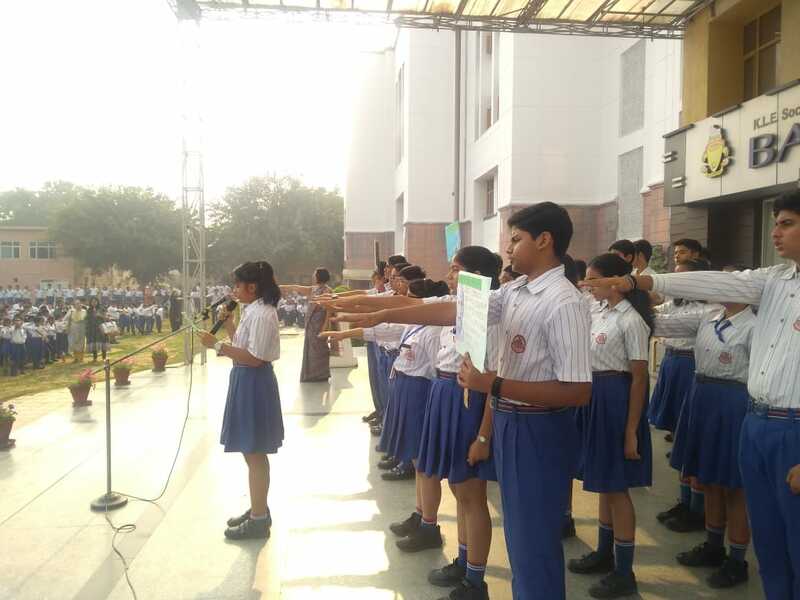 The assembly concluded with the students taking a pledge to abide by the principles and path shown of unity, integrity and security of our nation.